Because of my history I’m a strong supporter of cancer awareness and early detection. This year we passed out pink shoe laces to sports teams. 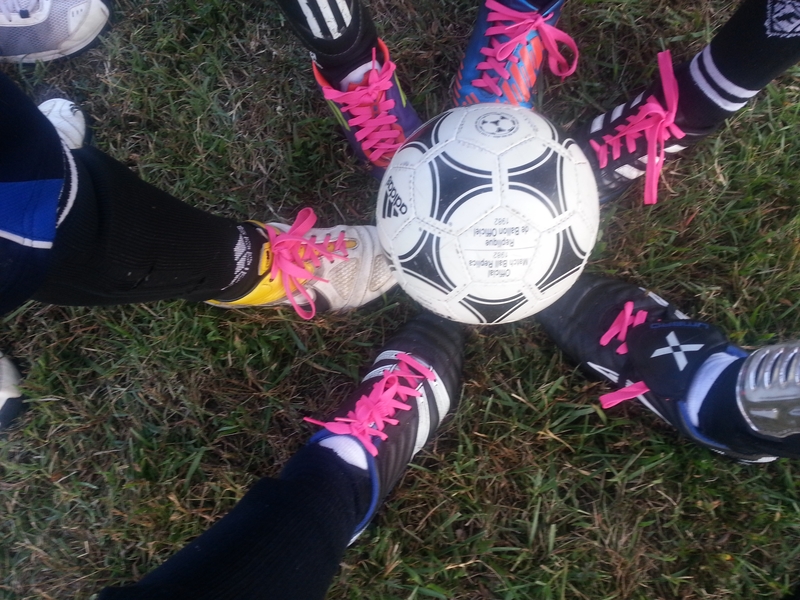 Michael’s soccer team got the laces last night and a few of the boys had some concerns about wearing pink. My 10 year old was very quick to explain to his friends that it represents support for breast cancer and pointed out John Cena of the WWE is a “proud supporter” and wears pink. Consider donation or support for awareness and please, please, encourage your loved ones to have annual check-ups. This entry was posted in Uncategorized and tagged breast cancer awareness, breat cancer, the cure. Bookmark the permalink.